I started Beekeeping in 2009, in southwestern Ontario, Canada. I've been researching honey bees for a few years. The purpose of this blog is to record my adventures with the bees and to share all my research and notes from books, seminars, training and lectures. Most of all I want to share what I learn from the bees. Hmmm... Eat It or Wear It? 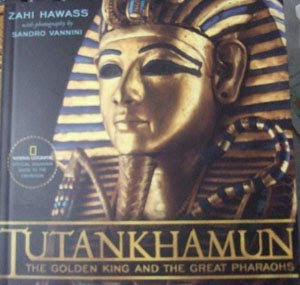 I've just come back from a visit to Toronto, Ontario where many of the King Tut treasures are on exhibit until mid April 2010. So what does this have to do with honey bees? Well a lot actually. The older I get the more I'm learning that the statement is true: "To know the future, look at the past." It seems that many things from times past come around again, and for good reason. Take the ancient Egyptian use of honey as a medicine. Doctors around the globe today are now going back to use this ancient medicine--honey. Honey bandages are made for the medical community to use on infections that are resistant to antibiotics. 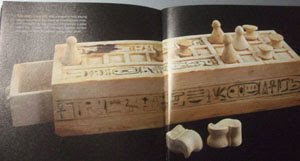 (The side of this child's board game shows honey bee and scarab hieroglyphs). Many diabetics suffering from foot ulcers that would not respond to our traditional treatments were healed quickly and easily with the application of these bandages. In the book on the historical biography of honey called Robbing the Bees, the author Holly Bishop shares a recipe written by the Greek physician Hippocrates that advises using honey to dress wounds and for sore throats. You see, honey naturally produces hydrogen peroxide which makes it an antibacterial product and it acts like a preservative for meats and fruits. Antioxidants, amino acids and vitamins help to reduce inflammation and the regeneration of the skin. The oldest medicine book in the world is the Egyptian Papyrus Ebers found in 1873. It contains a collection of 800 medical problems, diagnoses and recipes, half of which call for the use of honey. (We weren't allowed to take photos so these are some taken from the tour book I purchased in the gift shop). 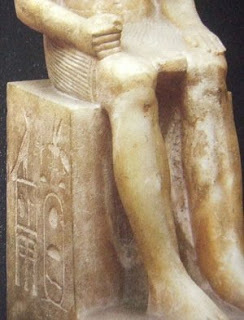 The Egyptian Pharohs put all that they valued into their tombs and they valued honey. Honey combs were found thousands of years later inside these Egyptian tombs. These sealed honeycombs were found to have still edible honey inside them. The honey had not gone bad. Because honey doesn't go bad. King Tut's tomb was partially robbed of its treasure right after burial but the thieves were stopped and the tomb resealed. A new king then removed the records of King Tut's existence which actually ended up bringing about the preservation of the tomb as everyone forgot he existed. His tomb was discovered 3,000 years later in 1922 by Howard Carter. 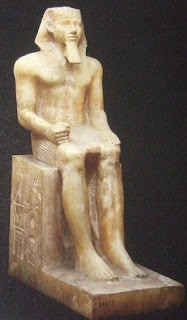 For more information on this king and the amazing treasure visit Wikepedia. Better yet, come and visit Toronto and see the exhibit yourself. Interesting thanks for the read.